The mission of United States Power Squadrons® is to maintain, enhance and promote USPS® as the premier boating organization dedicated to ‘Safe Boating through Education’. NVSPS locally carries out this mission by offering two groups of boating courses open to the public: basic courses and more advanced ones. If you have questions about the courses, please contact our Education Officer using this email link. 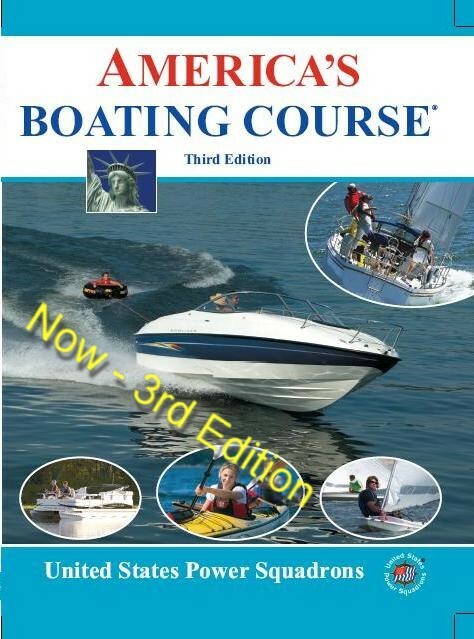 America's Boating Course 3rd Edition is an eight week comprehensive course which also includes basic piloting and navigation. Check our schedule to see what basic courses or seminars are being offered at various times during the year. Once an individual completes and passes a Basic Boating course, they may take more advanced courses. Local USPS chapters such as Northern Virginia Sail & Power Squadron offer members and the public a number of courses (see their descriptions), including Seamanship, Piloting, Advanced Piloting, Junior Navigation, Sail, and others. Check the current schedule to see what is available at this time. Some classes include field trips. See pictures of a weather class trip.